Uvuma-omhlope (Synaptolepis Kirkii) is a bluish-green shrub with striking porcelain white roots. Kirkii is traditionally used by the Zulu and Xhosa to induce spiritual visions, trances and dreams. 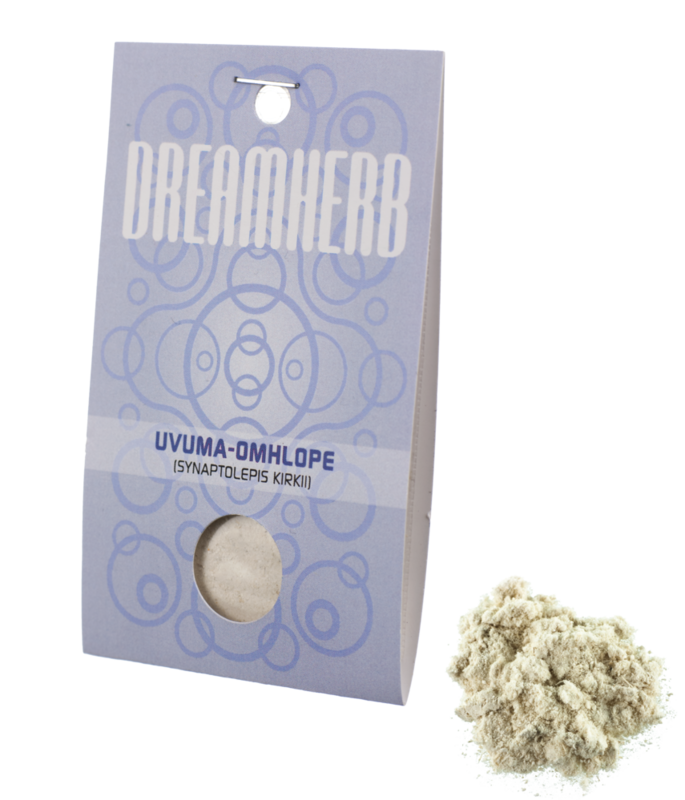 The roots of the Uvuma-omhlope shrub contain a potent neurotrophic called kirkinine. Neurotrophins are a family of proteins that induce the development and function of neurons. This product contains root powder which can be used to make tea. Threshold dosages vary from person to person, but reportedly as little as 300 – 400 mg is sufficient to provide the sought after effects. You may however need to experience a little to find a dosage that works for you. Add the powder to hot water and let it steep for 5 minutes. Drink this ‘dream tea’ about an hour before going to sleep. The taste is rather bland, so sugar or another sweetener may be necessary.